Submitted by PMcCool on March 28, 2015 – 2:43pm. 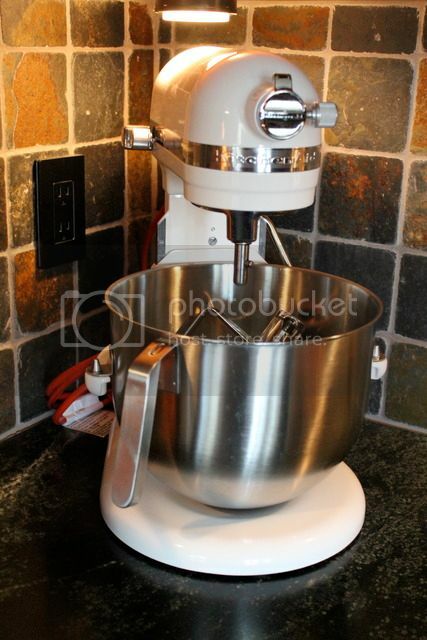 First, a shout-out to JoeCox2 for alerting TFLers to KitchenAid having made their NSF-rated KSM7990 mixer (refurbished) available for less than $400, with free shipping at that. I had been on the fence for some time about a replacement for my KitchenAid K5SS mixer, which makes all kinds of unpleasant noises even when running with no load. While lusting for something like a Haussler spiral mixer, I was put off by the notion of shelling out more than $2000 for a single-purpose machine even though it performs that single purpose superbly. Then there was the Ankarsrum Verona which is a multi-purpose mixer with a starting price tag of $800. Elegant, yes. Built like a tank, yes. I was almost ready to pull the trigger on that but Joe came along with another option at half the price. After some consideration, I took the plunge and ordered the KSM7990 or, in my case, the RKSM7990WH. R for refurbished and WH for white. Some of you are probably thinking “Sheesh! What a cheapskate!” On the other hand, my Scots ancestors would probably chide me for not trying to negotiate something even more favorable. When you consider that my parents were themselves youngsters during the Great Depression, it’s a wonder I bought it at all but, hey, a deal’s a deal. And I think that this has the potential for being my last mixer purchase. It’s definitely larger than the K5SS, with a 7-quart bowl instead of a 5-quart bowl. The whisk, the paddle beater, and the spiral dough hook are all stainless steel and very stout. The motor is advertised as producing 1.3hp and able to wrangle up to 8 pounds of dough. That all looks good and sounds good but how does it actually perform? To answer that question, I put it through two tests yesterday. The first test was a simple one and more to acquaint myself with the machine’s operation than to put it through its paces. Since I planned to make bagels using the recipe from ITJB later and I realized that I had not yet explored the sweeter side of the book, I chose to make Aunt Lillian’s Apple Cake. (Note to self: be sure to make that again!) The mixer hummed quietly through the various steps and never bogged down at any stage. I appreciate the Soft Start feature that cuts way down on liquids splashing or flour flying. This is still a KitchenAid, so getting things into the bowl and scraping the sides of the bowl are still the same as with the smaller models. All things considered, no big surprises, good or bad. The one thing that I found that I would like to change, and it may be unique to my machine instead of to the model, is to get the beaters about 1/4-inch closer to the bottom of the bowl. With 4 eggs in the bowl, the whisk was only contacting the upper 1/3 of the egg mass. When I tried making the adjustment, I found that it was already as far in that direction as it would go, so I may need to jury-rig another type of adjustment. The second stage of testing occurred last evening. 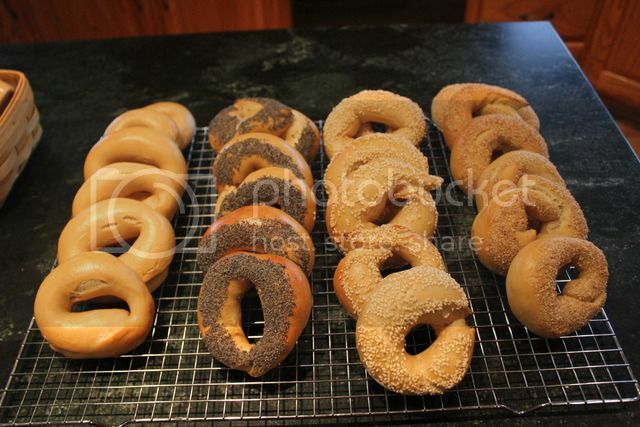 I decided that a double batch of New York water bagels, which was considerably less than the advertised 8 pound capacity, would give me a good indication of how it handled a stiff (pun intended) challenge. The dough is only 52% hydration. I picked up some King Arthur bread flour, which is about as close as I can get to a high-gluten flour in nearby supermarkets. The procedure calls for blending the flour and salt with the paddle attachment; no difficulty here. Then one adds the water/malt/yeast blend (since I was using ADY) and mixes to combine, still using the paddle beater. Here is where things began to unravel. First, the mixer stalled when a mass of dough was trapped between the beater and the bowl wall with about 20% of the flour still loose in the bottom of the bowl. I switched it off, extracted the beater from the dough, and manually worked the remaining flour into the dough. That was a difficult task with a dough that stiff. I returned the dough mass to the bowl, attached the spiral dough hook, and switched it back on to speed 2 for what was supposed to be 10 minutes of kneading. After a minute or two of more stalling or nearly stalling, I switched it off and pulled about half of the dough out. When I turned it back on with the remaining dough, it ran but very unevenly. Every second or third rotation brought a thick mass of dough between the hook and the bowl wall, nearly inducing another stall. 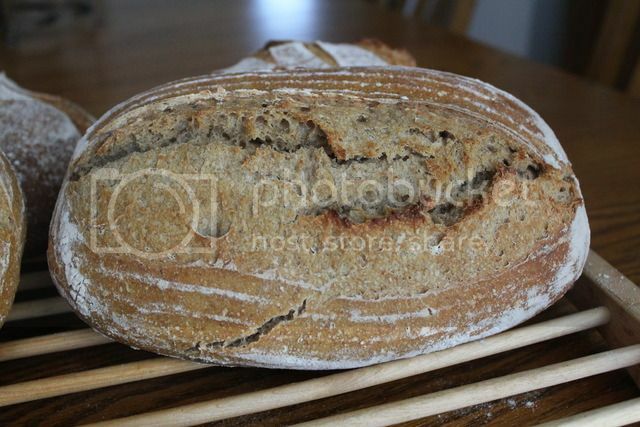 There was enough power that the hook sheared through the dough eventually but it was not a pretty process. The spiral hook performed fairly well. 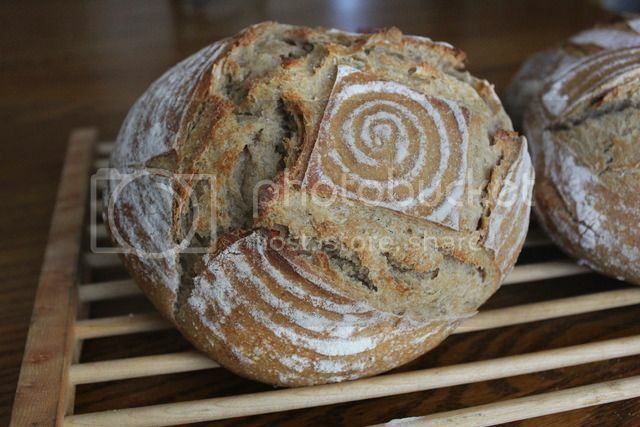 There were only one or two instances of the dough getting balled up on it enough that no kneading was being performed. Meanwhile, I was kneading the other half of the dough, sort of, manually. This was an extremely stiff dough! When the first half was done, I removed it and dropped the second half back in for another 3 minutes or so of machine kneading. The first half was warm when I removed it from the mixer. Although I did not measure the temperature, I would estimate it at perhaps 95F-100F. At the end of the process, the hook and the transmission were quite warm to the touch, perhaps 110F to 115F. The motor area was just barely warm. Some may say that the above experience counts as an indictment against the mixer. I’m not so sure. True, I won’t use it for making bagels in the future. That doesn’t necessarily equate as a failure, though. To repeat myself, this was an extremely stiff dough. I can’t say how an Ankarsrum or Bosch or Haussler would have handled things, since I don’t possess any of those machines. You can take that at face value, or as a hint/challenge. I do know that the dough was very difficult to handle with manual kneading, so it does not surprise me that the machine struggled with it. I was pleasantly surprised that it did not try to walk away from its initial position; instead, it stayed put in spite of the eccentric mixing loads. What this has made clear to me is that the machine is ruggedly built and quite powerful. There’s nothing else that I bake on a regular basis which would give it any problems. The grain mill attachment will have to be trotted out and used in the not too distant future but I do not expect any difficulties with it. Given it’s versatility for handling other things besides bread, it appears to me that the KSM7990 is everything that I need (and about 98% of what I want) in a mixer for household use. And I acknowledge that, like many TFLers, I’m something of an outlier when talking about “household use”. So, thank you Joe, for bringing this particular mixer deal to my attention. Six were left plain, six were topped with poppy seeds, six were topped with sesame seeds, and six were topped with wheat germ. Fortunately, the less than stellar shaping did not damage their taste in any way. The malt syrup in the boiling water gave them a nice sheen when baked. The crust was thin and crisp, the interior was moist and firm, with just the right amount of chewiness. Slathered with cream cheese, or honey butter, or white chocolate cinnamon peanut butter (I received a sample in a Hatchery tasting box), they were a delight. My neighbors were pretty tickled to receive some still-warm bagels for their Saturday breakfasts, too. The crumb, which never did get photographed, had a fairly even distribution of small and medium-size alveoli. That’s fine by me, since most of it has been used for sandwiches. It’s moistness balanced nicely with the initially crisp, later chewy, crust. Other than that, I haven’t baked much since I’m working through a backlog of breads in the freezer. 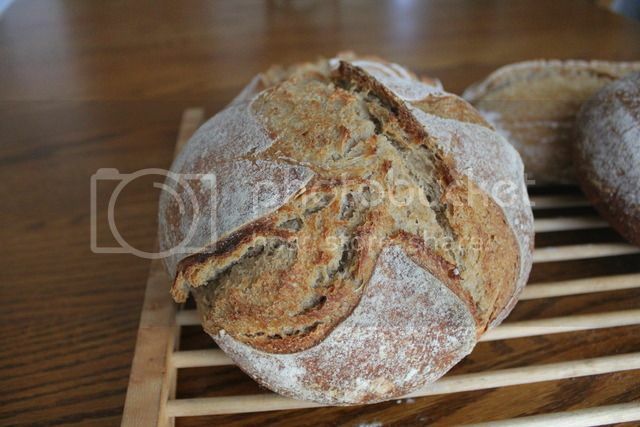 Now I’ll have to be patient and use up some more of the bread in the freezer before using my new toy again.